The name Rovio has long been associated only with the Angry Birds series. Although the company has tried to branch out a bit by releasing titles such as Amazing Alex and Bad Piggies in the past, neither managed to emulate the success of Angry Birds, which also meant Rovio kept going back to the well and kept releasing more Angry Birds game to the point where it’s now hard to tell which one’s which. Thankfully, the game we are reviewing today, although from Rovio, is not another Angry Birds title. 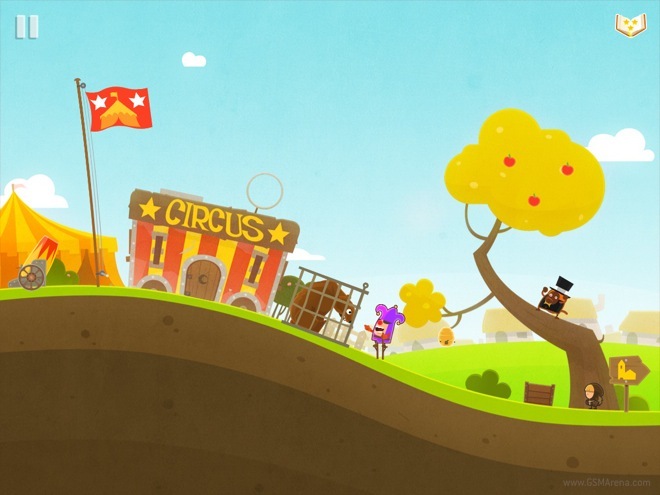 Born out of the Rovio Stars program, Tiny Thief is far away from the Angry Birds universe as it can be. Let’s see what Rovio’s latest experiment is like. 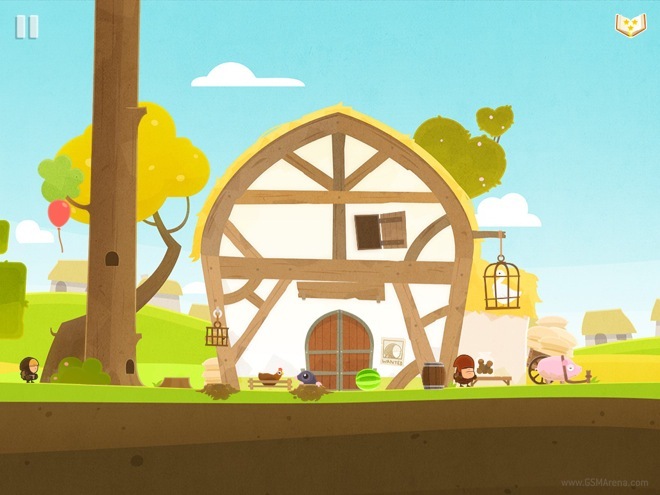 Tiny Thief is the story of a young thief who fashions himself as some sort of a Robin Hood. This means, although he does steal for a living, his intentions are largely noble, wherein he only steals to give back to those who deserve it. Of course, the lawmen wouldn’t have any of that and so now we have our game. Tiny Thief basically involves stealing certain objects in the level without being spotted and then exiting the level. Depending upon the number of objects you collect, you get stars at the end for that level. It’s that simple. Or is it? The gameplay in Tiny Thief is carried out entirely by tapping at points on the screen. Every level has three objectives: there is the main object that you have to obtain to finish the level, multiple optional objects cleverly hidden in the level and then there is our little thief’s pet ferret who is hiding somewhere in the level and you have to locate and tap on him. Completing each of these objectives gives you one star at the end of the level. You have to find all of the optional items in the level to get the star for that objective; there can be as many as four in a level. You are told at the beginning of the level what you have to find. It is then upon you to go about the level step by step, solving the puzzle. Usually the main objective is not immediately available. Often there will be someone guarding it, in which case you first have to distract him. You have to look around your environment to see if you can use anything for that purpose. Some levels make you manipulate a ton of different objects before you can reach the objective. It’s really fun to tap on various things to see what they might lead to. The game conveniently disables objects that need to be activated later so even if you tap on them prematurely you only get a shrug from our thief. Manipulating the environment to get the main objective is just a third of the gameplay. You also have to collect the optional items scattered around the level if you want to achieve 100% complete for every level. Some of them are in plain sight, others cleverly hidden. Some only become available after completing certain objectives so you have to remember to go back and collect them. And let’s not even start with finding the pet ferret. It’s damn near impossible to spot the little thing who only ever pops its head out occasionally from its hiding place. Sometimes it only appears after completing other objectives. It was often easier to complete the main objective and optional ones than finding this little thing. All this is made difficult by the presence of a lawman standing guard. You cannot at any cost be spotted or the level ends immediately. Thankfully, if you’ve completed a few objectives, it starts from that point instead of from the beginning. You have to plan your moves so you don’t get spotted and find ways to distract the cops so you can get where you want to. 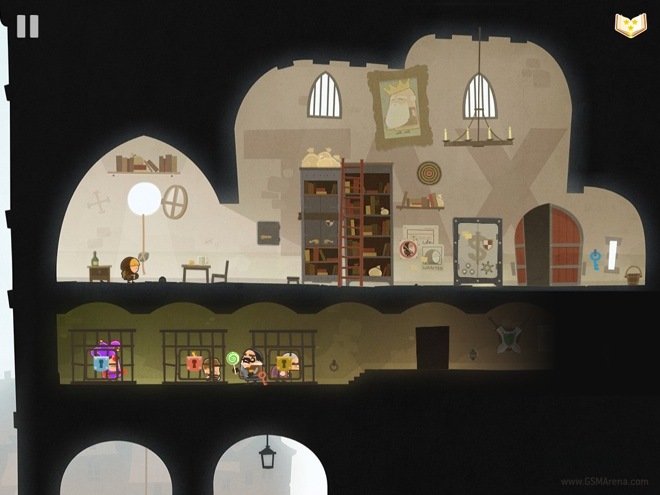 The puzzles in Tiny Thief are all well designed and feel clever. And as it the case with clever games, it makes you feel clever once you play them, The puzzles are not overly easy or difficult but have enough complexity and variety in them to make you spend a fair bit of time trying to work things around and you usually find the answer well before you’d decide to give up. There are six level packs with five levels each. It might not seem much but the levels require slightly more than the usual amount of time, skill and patience to solve. Still, if you keep going at it, the entire game can be finished in a couple of hours. Hopefully, more levels will be added shortly. Thankfully, there are no annoying in-app purchases in this game. Tiny Thief uses some lovely art design with pastel colors that have an muted yet attractive look. There are some neat character animations that despite their subtlety convey a variety of emotions. The designers have had to cram a lot of tap points within the level, which means things look a bit small and the game is best played on a tablet but not small enough to be a major issue. There is really not much to complain here; it all looks nice and works well. The background music is also pleasant enough. It’s not particularly catchy or memorable but gets the job done when you’re playing. There are no dialogues in the game; none that are comprehensible anyway. Not that it matters. The game gets through without the need for dialogues through it’s excellent animation alone. 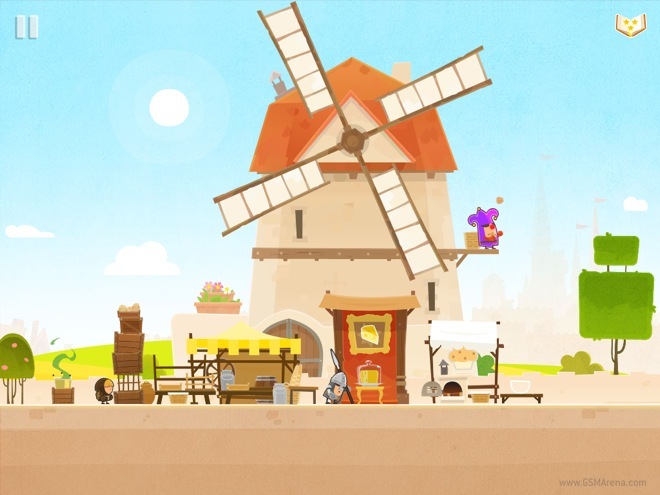 Tiny Thief comes as a breath of fresh air after recent Rovio titles. 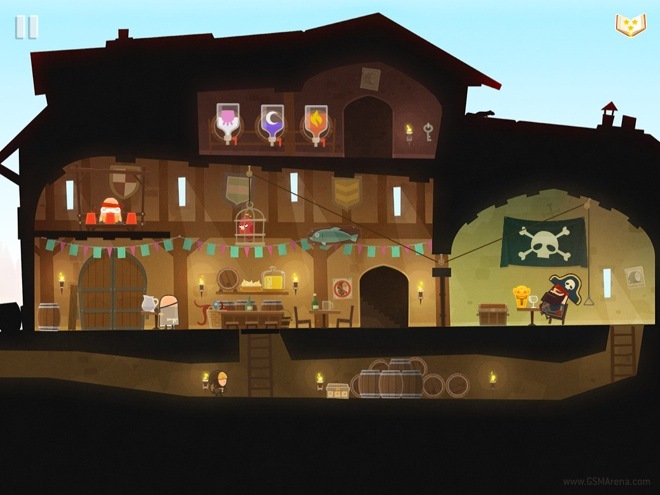 As a puzzle game, Tiny Thief is thoroughly enjoyable with fun and challenging puzzles that should captivate people of all ages. The game marries them with some lovely visuals and character animations and the end result is something you are not going to forget easily. Priced at $2.99, Tiny Thief is a must have. Unless you hate good puzzle games, you monster.